The Terms are a legally binding contract between you and Selltique. Please note that Section 11 contains an arbitration clause and class action waiver. By agreeing to the Terms, you agree to resolve all disputes through binding individual arbitration, which means that you waive any right to have those disputes decided by a judge or jury, and that you waive your right to participate in class actions, class arbitrations, or representative actions. 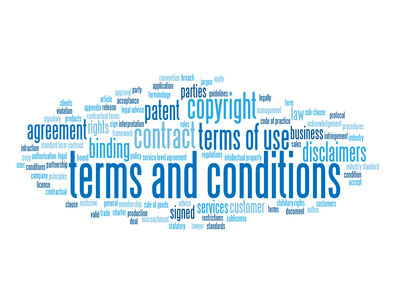 This contract sets out your rights and responsibilities when you use Selltique.com, our mobile apps, and the other services provided by Selltique, so please read it carefully. By using any of our Services (even just browsing one of our websites), you’re agreeing to the Terms. If you don’t agree with the Terms, you may not use our Services. Both Selltique and sellers process members’ personal information (for example, buyer name, email address, and shipping address) and are therefore considered separate and independent data controllers of buyers’ personal information under EU law. That means that each party is responsible for the personal information it processes in providing the Services. For example, if a seller accidentally discloses a buyer’s name and email address when fulfilling another buyer’s order, the seller, not Selltique, will be responsible for that unauthorized disclosure. If, however, Selltique and sellers are found to be joint data controllers of buyers’ personal information, and if Selltique is sued, fined, or otherwise incurs expenses because of something that you did as a joint data controller of buyer personal information, you agree to indemnify Selltique for the expenses it occurs in connection with your processing of buyer personal information. See Section 9 below for more information about your indemnification obligations to Selltique. You’ll need to create an account with Selltique to use some of our Services. A. You must be 18 or older to use our Services. Minors under 18 and at least 13 years of age are only permitted to use our Services through an account owned by a parent or legal guardian with their appropriate permission and under their direct supervision. Children under 13 are not permitted to use Selltique or the Services. You are responsible for any and all account activity conducted by a minor on your account. B. Provide accurate information about yourself. It’s not OK to use false information or impersonate another person or company through your account. C. Choose an appropriate name. If you decide to not have your full name serve as the name associated with your account, you may not use language that is offensive, vulgar, or infringes someone’s intellectual property rights, or otherwise violates the Terms. D. You are responsible for your account. You’re solely responsible for any activity on your account. If you’re sharing an account with other people, then the person whose billing information is on the account will ultimately be responsible for all activity. If you’re registering as a business entity, you personally guarantee that you have the authority to agree to the Terms on behalf of the business. Also, your accounts are not transferable. F. These Terms don't create any agency, partnership, joint venture, employment, or franchisee relationship between you and Selltique. Content that you post using our Services is your content (so let’s refer to it as “Your Content”). We don’t make any claim to it. That includes anything you post using our Services (like shop names, profile pictures, listing photos, listing descriptions, reviews, comments, videos, usernames, etc.). B. Permission to Use Your Content. By posting Your Content through our Services, you grant Selltique a license to use it. We don’t claim any ownership to Your Content, but we have your permission to use it to help Selltique function and grow. That way, we won’t infringe any rights you have in Your Content and we can help promote your stuff. C. Rights You Grant Selltique. By posting Your Content, you grant Selltique a non-exclusive, worldwide, royalty-free, irrevocable, sub-licensable, perpetual license to use, display, edit, modify, reproduce, distribute, store, and prepare derivative works of Your Content. This allows us to provide the Services and to promote Selltique, your Selltique shop, or the Services in general, in any formats and through any channels, including across any Selltique Services, our partners, or third-party website or advertising medium. You agree not to assert any moral rights or rights of publicity against us for using Your Content. You also recognize our legitimate interest in using it, in accordance with this license, to the extent Your Content contains any personal information. Consider these examples: if you upload a photo of a listing on your Selltique shop, first, we have permission to display it to buyers, and second, we can resize it so it looks good to a buyer using our mobile app; if you post a description in English, we can translate it into French so a buyer in Paris can learn the story behind your item; and if you post a beautiful photo of your latest handmade necklace, we can feature it on our homepage, in one of our blogs or even on a billboard to help promote your business and Selltique’s. D. Reporting Unauthorized Content. Selltique has great respect for intellectual property rights, and is committed to following appropriate legal procedures to remove infringing content from the Services. If Your Content infringes another person’s intellectual property, we will remove it if we receive proper notice. We’ll notify you if that happens. E. Inappropriate, False, or Misleading Content. This should be common sense, but there are certain types of content we don’t want posted on Selltique’s Services (for legal reasons or otherwise). You agree that you will not post any content that is abusive, threatening, defamatory, obscene, vulgar, or otherwise offensive. You also agree not to post any content that is false and misleading or uses the Services in a manner that is fraudulent or deceptive. A. You agree that you will not violate any laws in connection with your use of the Services. This includes any local, state, federal, and international laws that may apply to you. For example, it’s your responsibility to obtain any permits or licenses that your shop requires; you may not sell anything that violates any laws; you must not engage in fraud, theft, anti-competitive conduct, threatening conduct, or any other unlawful acts or crimes against Selltique, another Selltique user, or a third party. B. You are responsible for paying all fees that you owe to Selltique. Except as set forth below, you are also solely responsible for collecting and/or paying any applicable taxes for any purchases or sales you make through our Services. For items shipped to Washington State or Pennsylvania (or, for digital items, those purchased with a Washington State or Pennsylvania billing address), Selltique will calculate, collect and remit the applicable sales tax. C. You agree not to “crawl,” “scrape,” or “spider” any page of the Services or to reverse engineer or attempt to obtain the source code of the Services. D. You agree not to interfere with or try to disrupt our Services, for example by distributing a virus or other harmful computer code. E. The name “Selltique” and the other Selltique marks, phrases, logos, and designs that we use in connection with our Services, are trademarks, service marks, or trade dress of Selltique in the US and other countries. F. Submit your ideas. Any unsolicited ideas or other materials you submit to Selltique (not including Your Content or items you sell through our Services) are considered non-confidential and non-proprietary to you. You grant us a non-exclusive, worldwide, royalty-free, irrevocable, sub-licensable, perpetual license to use and publish those ideas and materials for any purpose, without compensation to you. Termination By You. We'd hate to see you go, but you may terminate your account with Selltique at any time from your account settings. Terminating your account will not affect the availability of some of Your Content that you posted through the Services prior to termination. You will still be responsible for any outstanding fees you owe. Termination By Selltique. We may terminate or suspend your account (and any related accounts) and your access to the Services at any time, for any reason, and without advance notice. If we do so, it’s important to understand that you don’t have a contractual or legal right to continue to use our Services, for example, to sell or buy on our websites or mobile apps. Selltique may refuse service to anyone, at any time, for any reason. If you or Selltique terminate your account, you may lose any information associated with your account, including Your Content. We May Discontinue the Services. Selltique reserves the right to change, suspend, or discontinue any of the Services at any time, for any reason. We will not be liable to you for the effect that any changes to the Services may have on you, including your income or your ability to generate revenue through the Services. Items You Purchase. You understand that Selltique does not manufacture, store, or inspect any of the items sold through our Services. We provide the venue; the items in our marketplaces are produced, listed, and sold directly by independent sellers, so Selltique cannot and does not make any warranties about their quality, safety, or even their legality. Any legal claim related to an item you purchase must be brought directly against the seller of the item. You release Selltique from any claims related to items sold through our Services, including for defective items, misrepresentations by sellers, or items that caused physical injury (like product liability claims). Content You Access. You may come across materials that you find offensive or inappropriate while using our Services. We make no representations concerning any content posted by users through the Services. Selltique is not responsible for the accuracy, copyright compliance, legality, or decency of content posted by users that you accessed through the Services. You release us from all liability relating to that content. People You Interact With. You can use the Services to interact with other individuals, either online or in person. However, you understand that we do not screen users of our Services, and you release us from all liability relating to your interactions with other users. Please be careful and exercise caution and good judgment in all interactions with others. Gift Cards and Promotions. You acknowledge that Selltique does not make any warranties with respect to your Gift Card balance and is not responsible for any unauthorized access to, or alteration, theft, or destruction of a Gift Card or Gift Card code that results from any action by you or a third party. You also acknowledge that we may suspend or prohibit use of your Gift Card if your Gift Card or Gift Card code has been reported lost or stolen, or if we believe your Gift Card balance is being used suspiciously, fraudulently, or in an otherwise unauthorized manner. If your Gift Card code stops working, your only remedy is for us to issue you a replacement Gift Card code. By participating in a special offer or promotion, you agree that you may not later claim that the rules of that special offer or promotion were ambiguous. Warranties. Selltique is dedicated to making our Services the best they can be, but we’re not perfect and sometimes things can go wrong. You understand that our Services are provided “as is” and without any kind of warranty (express or implied). We are expressly disclaiming any warranties of title, non-infringement, merchantability, and fitness for a particular purpose, as well as any warranties implied by a course of performance, course of dealing, or usage of trade. Liability Limits. To the fullest extent permitted by law, neither Selltique, nor our employees or directors shall be liable to you for any lost profits or revenues, or for any consequential, incidental, indirect, special, or punitive damages arising out of or in connection with the Services or these Terms. In no event shall Selltique’s aggregate liability for any damages exceed the greater of one hundred ($100) US Dollars or the amount you paid Selltique in the past twelve months. Some jurisdictions do not allow limitations on incidental or consequential damages, so the above limitations may not apply to you. If Selltique gets sued because of something that you did, you agree to defend and indemnify us. That means you’ll defend Selltique (including any of our employees) and hold us harmless from any legal claim or demand (including reasonable attorney’s fees) that arises from your actions, your use (or misuse) of our Services, your breach of the Terms, or your account’s infringement of someone else’s rights. If you find yourself in a dispute with another user of Selltique’s Services or a third party, we encourage you to contact the other party and try to resolve the dispute amicably. Case System. Buyers and sellers who are unable to resolve a dispute related to a transaction on our websites or mobile apps may participate in our case system. Selltique will attempt to help you resolve disputes in good faith and based solely on our interpretation of our policies, in our sole discretion; we will not make judgments regarding legal issues or claims. Selltique has no obligation to resolve any disputes. Release of Selltique. You release Selltique from any claims, demands, and damages arising out of disputes with other users or parties. A. Governing Law. The Terms are governed by the laws of the United States of America. These laws will apply no matter where in the world you live, but if you live outside of the United States, you may be entitled to the protection of the mandatory consumer protection provisions of your local consumer protection law. B. Arbitration. You and Selltique agree that any dispute or claim arising from or relating to the Terms shall be finally settled by final and binding arbitration, using the English language, administered by the American Arbitration Association (the “AAA”) under its Consumer Arbitration Rules (the "AAA Rules") then in effect (those rules are deemed to be incorporated by reference into this section, and as of the date of these Terms). Arbitration will be handled by a sole arbitrator in accordance with those rules. Judgment on the arbitration award may be entered in any court that has jurisdiction. Any arbitration under the Terms will take place on an individual basis--class arbitrations and class actions are not permitted. You understand that by agreeing to the Terms, you and Selltique are each waiving the right to trial by jury or to participate in a class action or class arbitration. Notwithstanding the foregoing, each party shall have the right to bring an action in a court of proper jurisdiction for injunctive or other equitable or conservatory relief, pending a final decision by the arbitrator. You may instead assert your claim in “small claims” court, but only if your claim qualifies, your claim remains in such court, and your claim remains on an individual, non-representative, and non-class basis. D. Forum. We’re based in Nashville, Tennessee, so any legal action against Selltique related to our Services must be filed and take place in Nashville. For all actions under the AAA Rules, the proceedings will be in Nashville, TN., or otherwise conducted at a location which is reasonably convenient to both parties taking into account their ability to travel and other pertinent circumstances under the AAA Rules. For any actions not subject to arbitration, you and Selltique agree to submit to the personal jurisdiction of a state court located in Davidson County, Tennessee or the United States District Court. F. Modifications. If we make any changes to this “Disputes with Selltique” section after the date you last accepted the Terms, those changes will not apply to any claims filed in a legal proceeding against Selltique prior to the date the changes became effective. Selltique will notify you of substantive changes to the “Disputes with Selltique” section at least 30 days prior to the date the change will become effective. If you do not agree to the modified terms, you may send Selltique a written notification (including email) or close your account within those 30 days. By rejecting a modified term or permanently closing your account, you agree to arbitrate any disputes between you and Selltique in accordance with the provisions of this “Disputes with Selltique” section as of the date you last accepted the Terms, including any changes made prior to your rejection. If you reopen your closed account or create a new account, you agree to be bound by the current version of the Terms. The Terms, including all of the policies that make up the Terms, supersede any other agreement between you and Selltique regarding the Services. If any part of the Terms is found to be unenforceable, that part will be limited to the minimum extent necessary so that the Terms will otherwise remain in full force and effect. Our failure to enforce any part of the Terms is not a waiver of our right to later enforce that or any other part of the Terms. We may assign any of our rights and obligations under the Terms. If you have any questions about the Terms, please email us. To join Selltique you need to have an invite. If you have an invite, please enter the code in the box below. By using invitation codes we try to make sure that all Selltique users are trustworthy parties. Information considering users of a single Selltique community may be handed over to the client who has founded that community or to the community administrators appointed by that client.